helps every student become a capable, confident writer. choice, sentence fluency, conventions, and presentation. Provide your students with a yearlong solution to make them strong, vigorous writers with this revolutionary writing program. 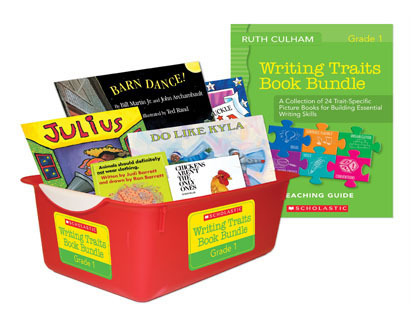 Inspired by 25 years of research and best practices, Traits Writing supplies educators with the tools needed to inform and target writing instruction to meet each student’s needs. Supplement any writing program with this digital record-keeping and reporting system. 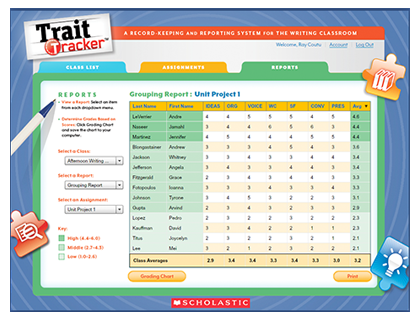 Trait Tracker assesses student strengths and weaknesses by each trait of good writing. Bring out the best in your instruction by guiding students in areas where they need help the most. Model the writing process—prewriting, drafting, revising and editing with this interactive whiteboard tool for K–8 teachers. 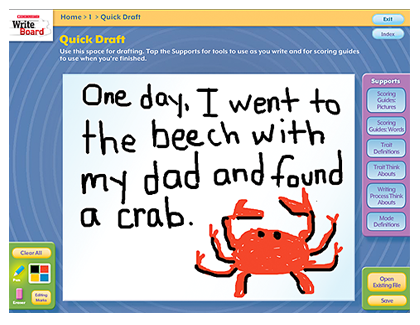 Organized around the traits of good writing, the diverse range of Writeboard activities helps students inform their thinking and guide their decisions. Give students excellent models of writing! 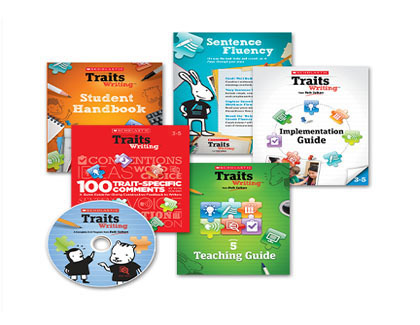 Writing Traits Book Bundles are bundles of 24 books that capture a range of genres, topics, and cultural and historical contexts. Within each bundle of books, there are four titles to support each trait of the writing process. 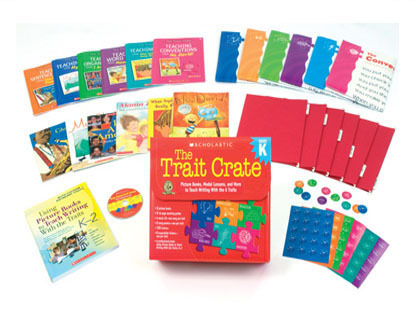 This program provides opportunities for whole-class read alouds, small-group discussions and additional activities described in the Teacher’s Guide. If students are to learn, they must write! Inspired by 25 years of research and best practices of thousands of teachers! All of the materials are research-based!